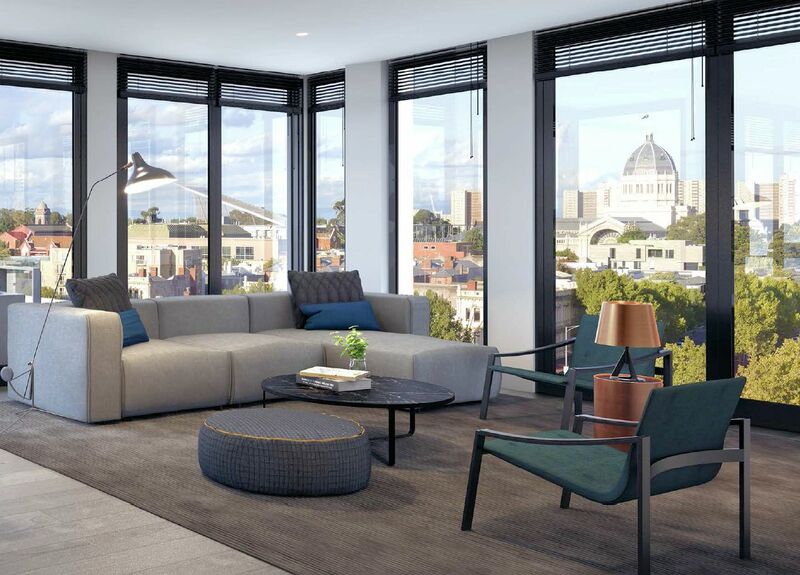 The latest in a mounting number of apartment developments centred around Carlton's Queensberry Street was launched last night. 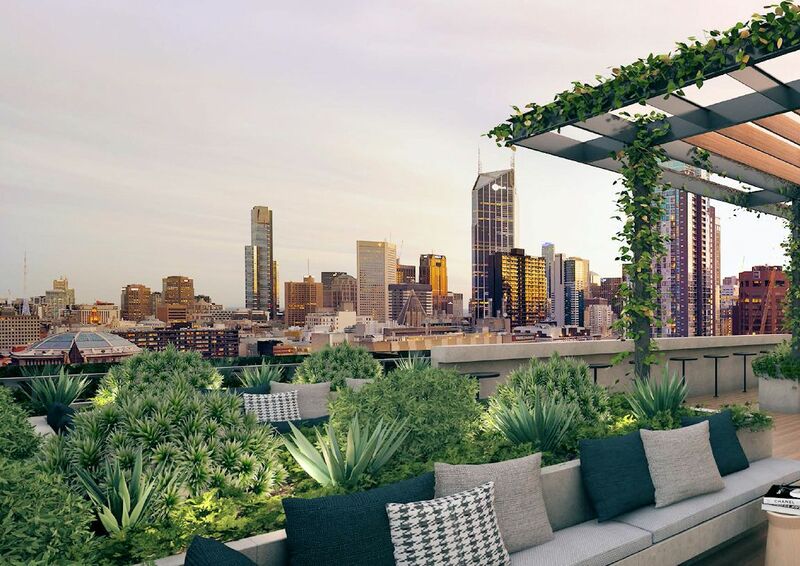 The Eminence, which was first highlighted last year by Urban Melbourne as a planning application, celebrated its launch event with all relevant project partners in attendance. 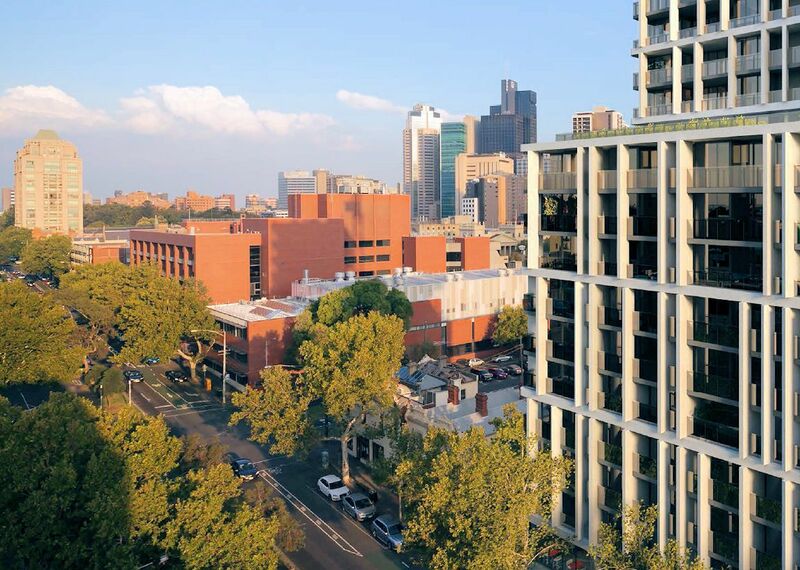 Speaking to project architect Ian Briggs of Plus Architecture, he explains that the design reflects its location - a marriage of the CBD's vertical nature and the low-rise, finer grain substance of Carlton. Consequently the project is split into three vertical volumes, they being the lower Queensberry or northern volume, central and CBD volumes. Each of these is in turn broken into blocks of two or three levels by way of white external privacy panels/load-bearing features to signify the street level height of traditional Carlton housing. In another nod to the past street level frontages are broken by the use of cottage reliefs, either consisting of perforated metal as seen below or shotcreted forms along other boundaries according to the architect. The design is a delicate balance of its environment, responding to the low line, staccato street fronts of Carlton and the high-rise scale of the city. 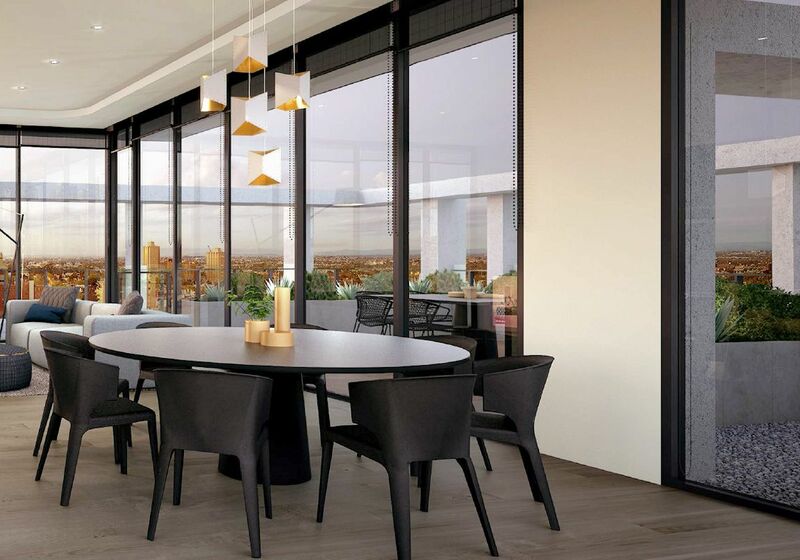 The building form is separated into three towers to capitalise on light entry, natural ventilation and views to every 1, 2 and 3 bedroom apartment and social space. 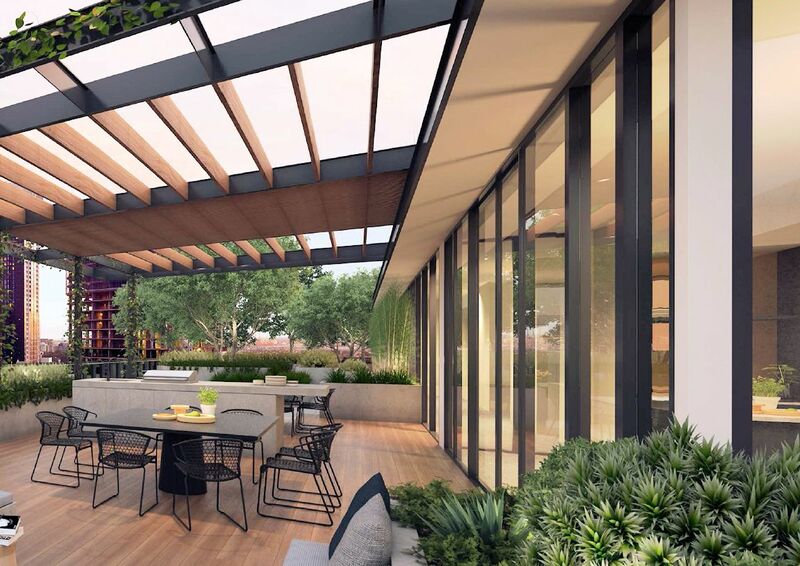 Floor to ceiling glass to capture views, and expressed fins to frame them, wrap around the façade in a modern day interpretation of classic architecture that is carried from the lobby to the rooftop retreat. 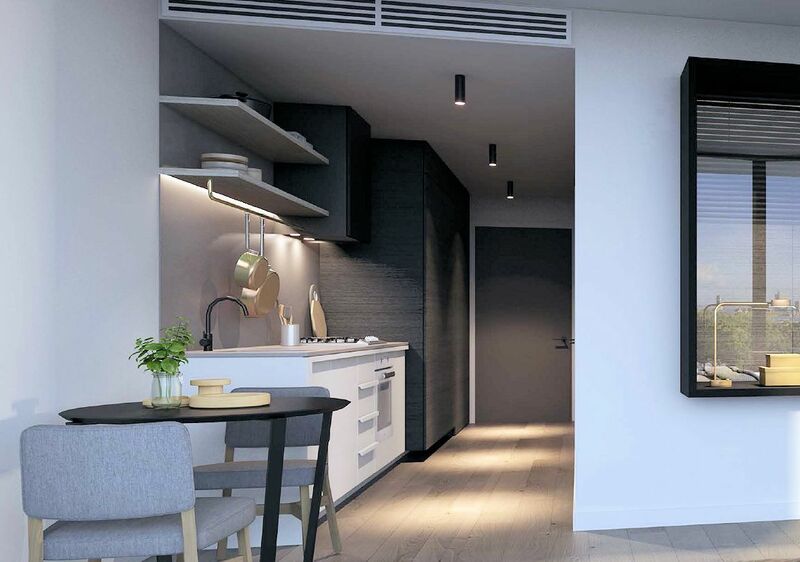 Near on 30% of the 193 apartments have been sold prior to launch with the owner-occupier market firmly in mind. 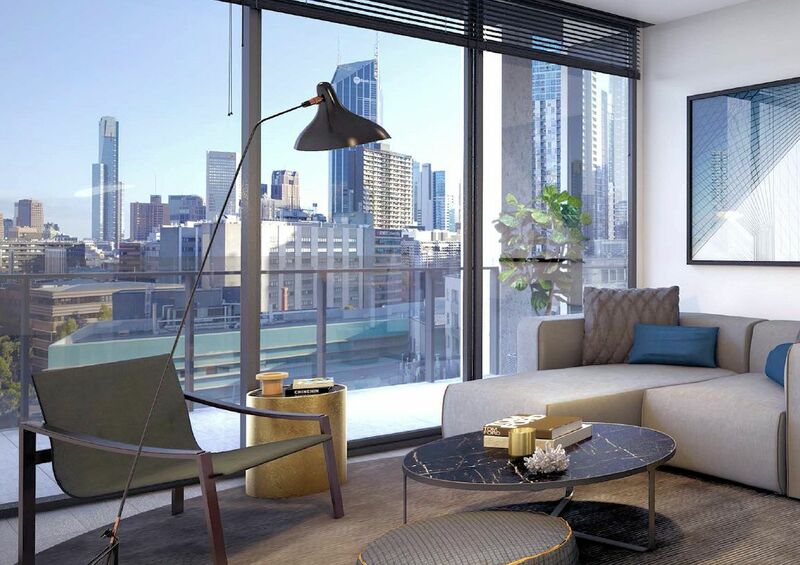 Paraphrasing what was said last night, an investor may buy in to an owner-occupier focused development yet an owner-occupier will shun an investment driven apartment development, and that's the case with The Eminence as owner-occupiers buyers are represented heavily to date. 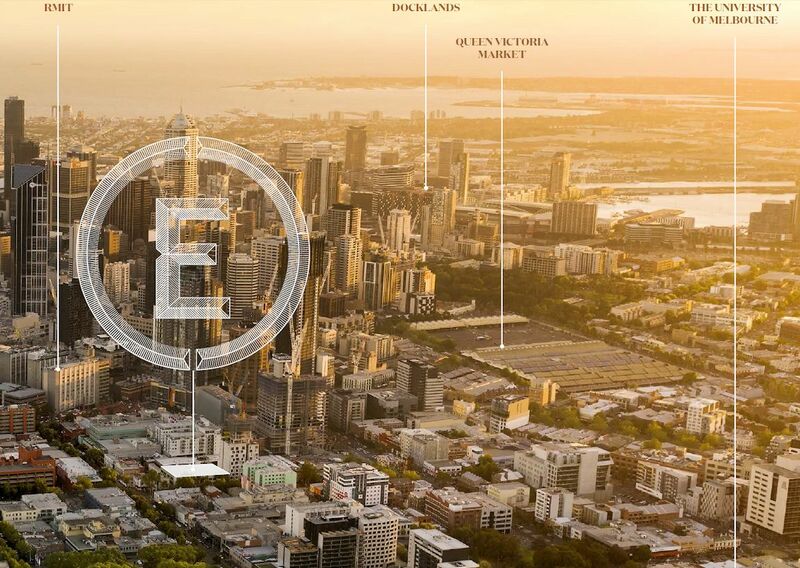 In the broader context a search of the Urban Melbourne database shows The Eminence is joined by Queens Carlton at the registration and sales stage. In addition 81 Cardigan Street and Upper House are at varying stages of construction with the latter receiving its finishing touches. Directly opposite The Eminence, the distinctive facade of 152 Queensberry Street is waiting in the wings with planning approval. Together these projects will inject in the vicinity of 430 apartments with little more than 200 metres separating the quartet. Into the future Grocon's redevelopment of the former CUB site is expected to yield three buildings fronting Queensberry Street. Outlined previously, the three future towers have the potential to yield hundreds of new apartments, but for now The Eminence holds sway over this emerging development corridor. No mention of the shameful destruction of the existing elaborate Art Deco warehouse and facade on the site? Another piece of Deco Melbourne to be lost to history. This city is slowly ruining its best heritage assets.